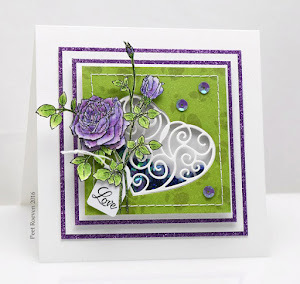 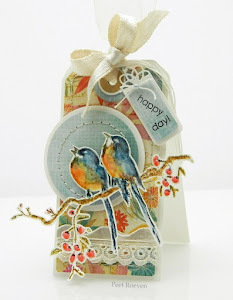 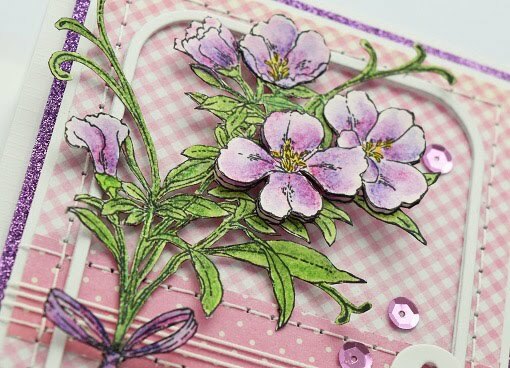 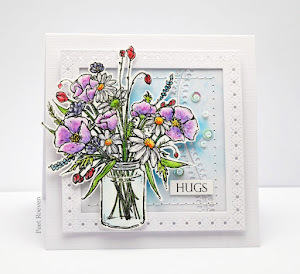 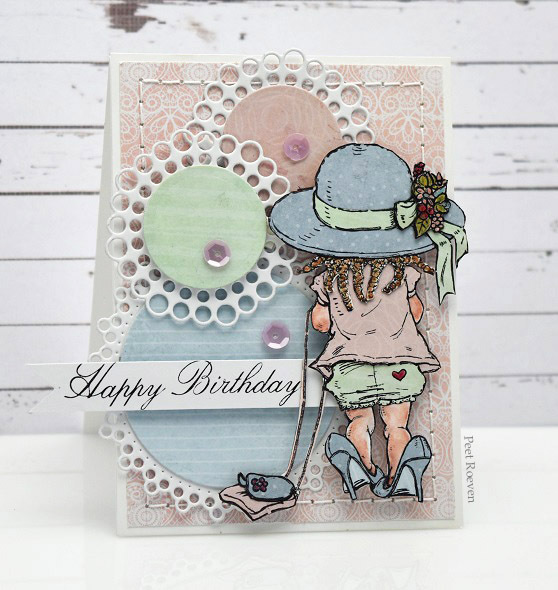 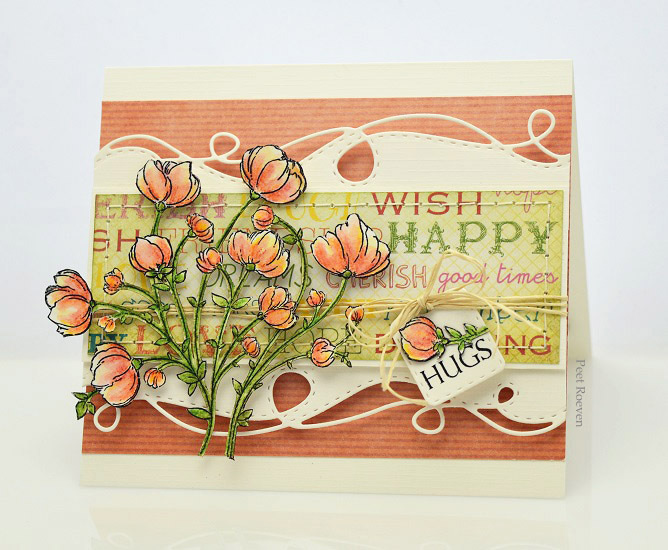 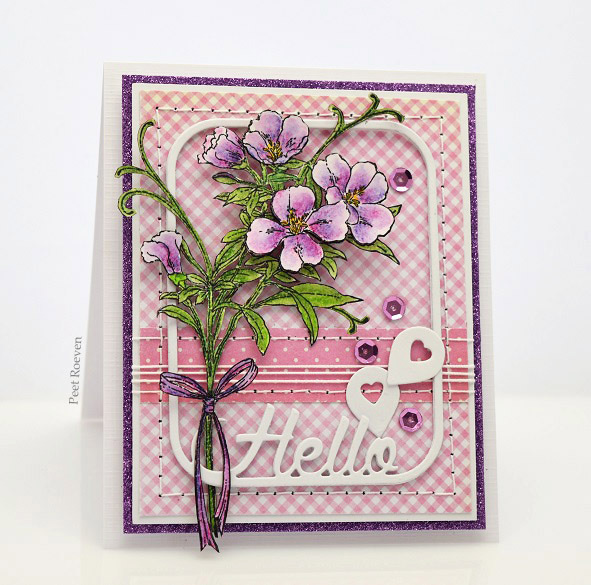 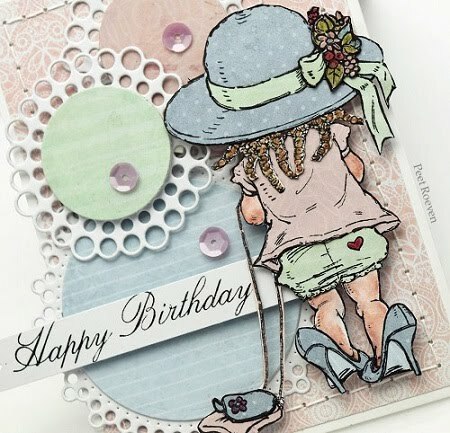 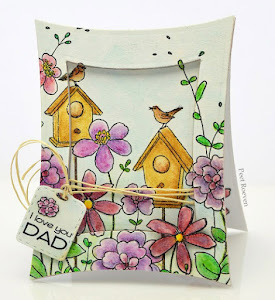 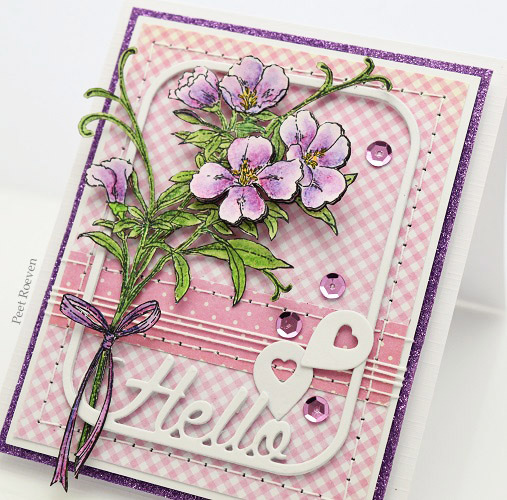 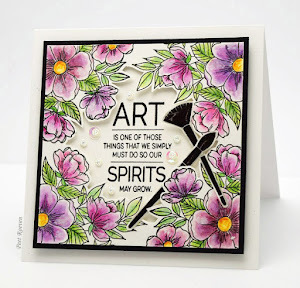 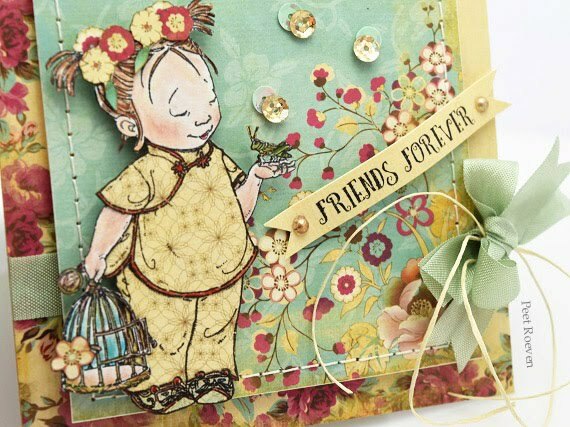 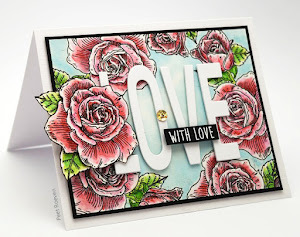 Here's another card using the newest collection from Penny Black. 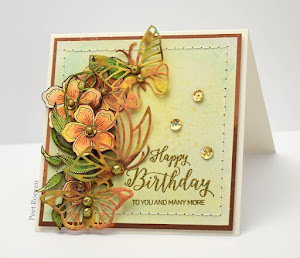 Other: Ranger Archival Ink Pad Black, Faber Castell Polychromos Pencils, Marianne Design - Garden Party Paper Bloc, Ribbon, Foam Tape, Sequins, Pearls, thread. 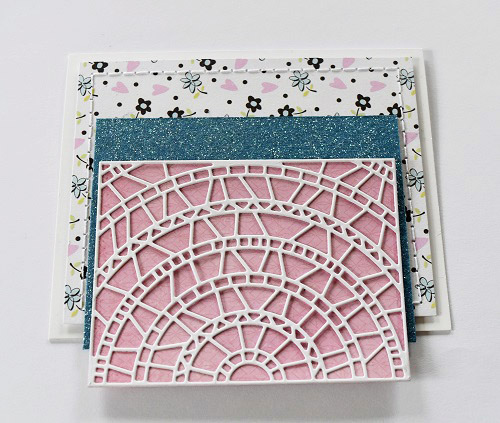 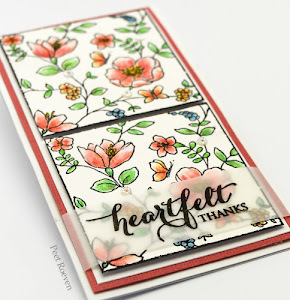 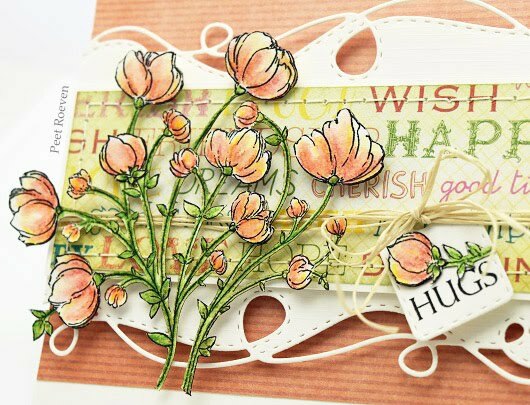 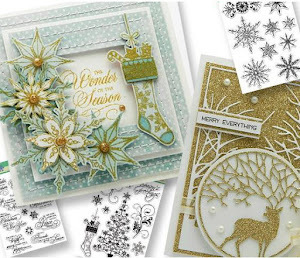 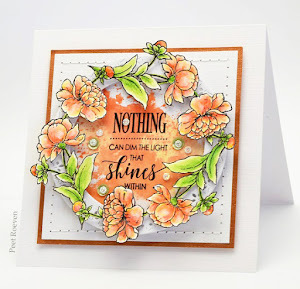 You'll find The *A little bit of sunshine* catalog on the Penny Black Blog as well as inspiring card ideas. 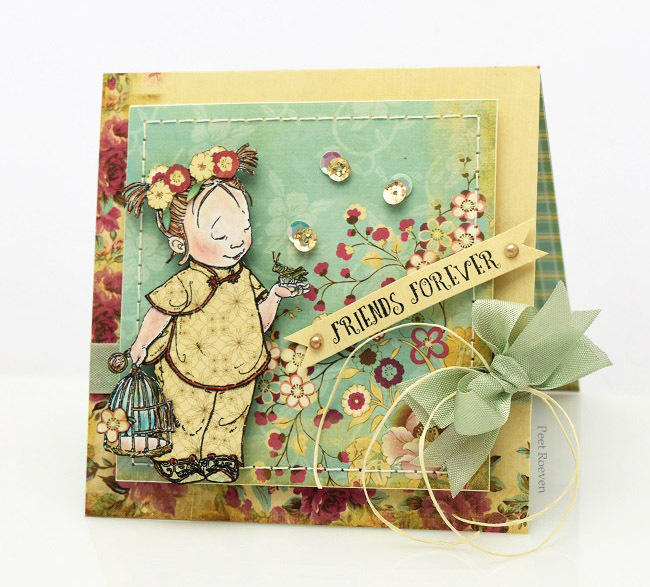 Check out the Penny Black Blog to see the new *A little bit of sunshine* collection as well as inspiring card ideas. 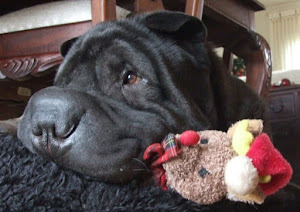 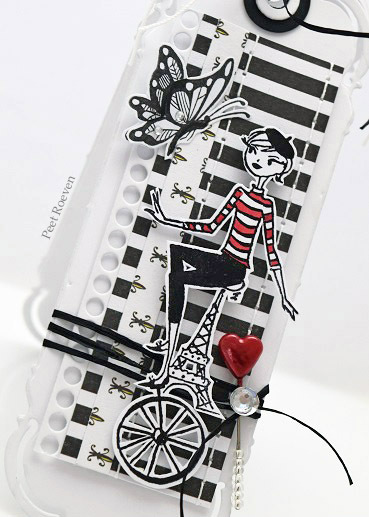 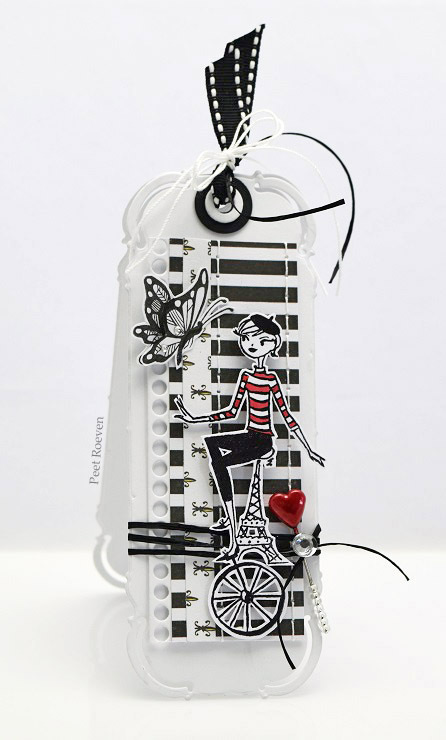 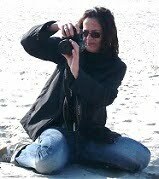 Please check out the Penny Black Blog to see wonderful bookmarks all this week! 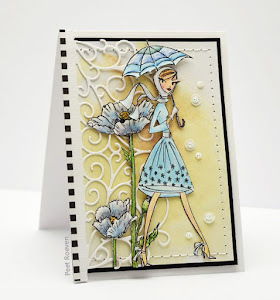 Other: Ranger Archival Ink Pad Black, Derwent Coloursoft Pencils, Blue Glitter Paper, White Cardstock, Foam Tape, Sequins.